At a time when shopping has become a click and daily cardboard box delivery, Artists & Fleas is a conductor of human-to-human transaction—where stories are as plentiful as products. Our marketplace is a community that champions self-expression for both buyers and sellers. We foster the relationships between our artist/curators and our customers: nurturing independent makers into full-fledged businesses by empowering patrons to shop locally. It’s a place for makers and vintage curators to find homes for the objects that they put so much of themselves into and a place for seekers to find themselves in the objects that they take home. Artists & Fleas is more than shopping. It’s the thrill of discovering, and being discovered. Artists & Fleas opens on North 6th Street in Williamsburg, hosting 35 artists, designers and vintage collectors every Sunday for a weekly “show and sell” expanding to host 60 merchants and adding Saturdays over the next 6 years. Artists & Fleas moves to its current location on North 7th Street in Williamsburg. Artists & Fleas opens permanently at Chelsea Market hosting 30 merchants. Artists & Fleas opens in Los Angeles’ Arts District (DTLA) with a monthly market hosting 75 independent merchants. Artists & Fleas expands in Williamsburg to host 100 individual merchants each weekend day. Artists & Fleas opens on Abbot Kinney in Venice (Los Angeles). Artists & Fleas opens in SoHo. 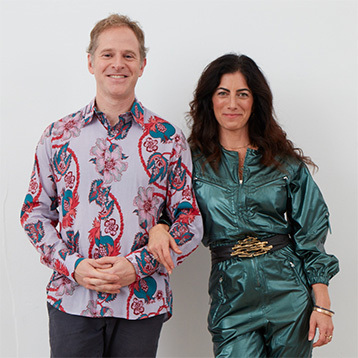 Artists & Fleas co-founders Amy Abrams and Ronen Glimer grew up in Chicago, in homes filled with stuff and stories collected by their parents from travels worldwide. They share an appreciation for craft and creativity, which fuels their own wanderlust. Amy has defined her career by creating environments that bring people together in the pursuit of connection, collaboration and discovery. 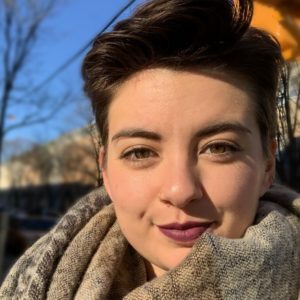 She has supported thousands of independent creators and curators to help them launch and grow their businesses. Amy’s past entrepreneurial endeavor includes co-founding In Good Company, a coworking community supporting women entrepreneurs and co-authoring The Big Enough Company – Creating a Business that Works For You. Amy is a champion for helping people build great businesses and happier lives. After a decade building a national marketing organization for an NYC-based start-up, in 2010 Ronen shifted his focus to Artists & Fleas full time as he continuously seeks out new growth opportunities for the brand in addition to getting on a scissor lift whenever the opportunity arises. Amy & Ronen live in Brooklyn with their two daughters and dog.